Thank you for your donation, we sincerely appreciate your support. Your gifts matter. For more than a century, Boys Republic has worked with one of society’s least served but most socially significant populations — troubled teenagers. The survivors of childhood abuse, abandonment, serious family dysfunction or other trauma, they have reached a transitional phase in their lives — their maturation into adulthood — primed to fail. By the time they are referred to Boys Republic or Girls Republic, most are significantly behind in their education and may even have become self-destructive in their personal habits. The majority come with histories of previous, unsuccessful placements in foster homes, other agencies or both. They are extremely high-risk children for whom society has little hope and few remaining options. As a “program of last resort,” Boys Republic and Girls Republic have established an extraordinary record of success with such young people. As placing agencies throughout California have found and as successful adult alumni throughout the nation will attest, Boys Republic’s innovative and aggressive programs build self-reliance and self-responsibility that make permanent, life altering changes in its students. Children, who arrive apparently destined to lead lives of social dependence or long-term placement, instead graduate back into society with the attitudes, education and skills to become responsible, contributing citizens. *Boys Republic developed a set of standards to evaluate what degree of conventional, independent functioning its students maintained after graduation. Evaluation takes place at regularly scheduled intervals over a one-year period following a student’s graduation. Boys Republic’s extraordinary commitment to each of the youths in its care costs the agency more than $1,400 per student per month over and above the service fees it receives from referral counties. It is this extended level of service that makes Boys Republic successful with students who have already failed in so many other programs. But this added commitment also makes the agency absolutely dependent on continued private-sector support. Over the years Boys Republic has developed strong ties to its donor base through a commitment to absolute fidelity in the use of donated funds. Through unwavering policy, the agency commits all donated monies to the specific purposes for which they were designed. Boys Republic is a financially stable organization. The agency supplements service fee revenues with funds from self-help activities (i.e., the Della Robbia wreath campaign and an agricultural program), fundraising, and interest earnings from investments — all of which help to decrease the burden to the taxpayer for our students’ care. Boys Republic’s development effort is modest and efficient. Unlike many charitable organizations, the agency sends out only one appeal for support each year. Consequently, its fundraising cost is relatively low.  Over the past 45 years, average fund-raising costs at Boys Republic (including postage, salaries, printing and all other related expenses) accounted for less than 13% of total contributions. More than 87 cents of every dollar donated was applied directly to the program for which it was given.